The rebels of "Rogue One" helped expand Disney's "Star Wars" empire with a big worldwide opening at the box office this weekend. "Rogue One: A Star Wars Story" landed a most impressive $155 million opening in North America this weekend. 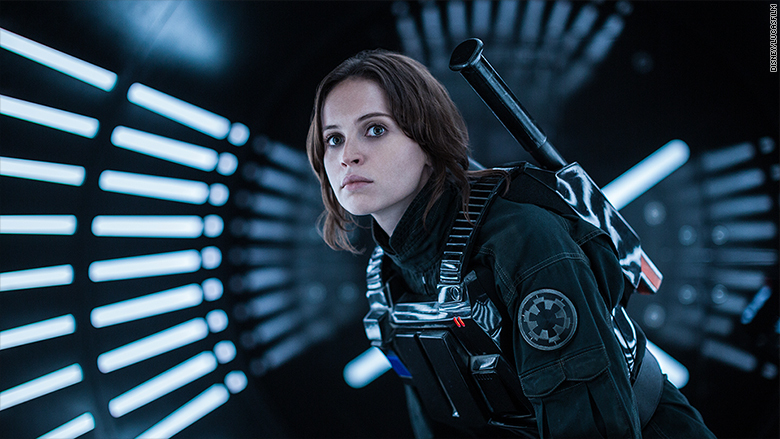 The opening weekend for "Rogue One" exceeded Disney's expectations. The studio projected that the film would debut in the range of $120 million to $150 million. It also brought in $290.5 million globally, making it the top movie around the world. And that number is without the world's second largest movie market, China. The film opens there on January 6. The audience demographics for "Rogue One" this weekend were 59% male and 41% female, while 26% were between the age of 26 and 34, according to data shared by the studio. The U.S. opening is roughly $100 million less than the record-breaking $248 million that "Star Wars: The Force Awakens" made its opening weekend last year. But with "Rogue One" being Disney's first "Star Wars" spinoff, the premiere is a great start to what should be a successful theatrical run into January. "Rogue One: A Star Wars Story" opened to worldwide audiences this weekend. The new Disney (DIS) film opened in more than 4,100 theaters domestically and told the story of how the Rebel Alliance stole the secret plans to the evil Death Star. The film's plot takes place right before the events of the original Star Wars film, 1977's "Star Wars: A New Hope." 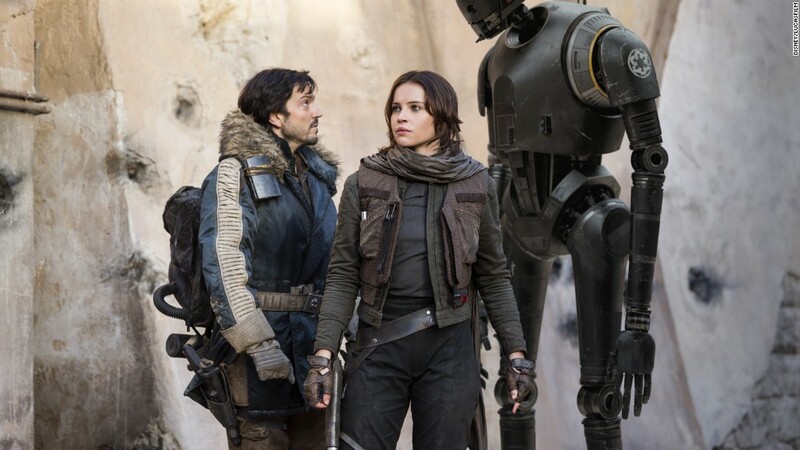 Unlike other films in the series, "Rogue One" did not focus on the Skywalker family, but instead introduced new characters like Felicity Jones' Jyn Erso and Diego Luna's Cassian Andor. With its strong performance, "Rogue One" has shown that Disney can make Star Wars films that fans will want to see even if they have nothing to do with the core story. This should serve the company well as it heads into future spinoff films, like 2018's Han Solo origin story. "The brand equity of the 'Star Wars' brand can only get you so far," said Paul Dergarabedian, senior media analyst at comScore (SCOR). "If 'Rogue One' didn't deliver, then the huge momentum of 'The Force Awakens' would have essentially been brought to a halt. The good news is that the movie lived up to expectations." The opening should also stir excitement for next year's highly anticipated "Episode VIII," which continues the saga of Rey, Finn and Kylo Ren, who were introduced in "Force Awakens." "The next film in the Star Wars saga has the potential to claim the title as the biggest movie of all time," Dergarabedian added. "It is hard to imagine a more powerful one-two punch than 'The Force Awakens' and 'Rogue One' as a lead-up to the release of 'Episode VIII' exactly one year from now."